In 1967 a seven-year-old Brooklyn kid was playing stickball in the street when he was hit by a car. Confined to hospital to recover from his injuries, his mother gave him a copy of the textbook ‘Gray’s Anatomy’ to amuse him. Years later when Jean-Michel Basquiat was an artist, the imagery that he had absorbed from that book repeatedly made its way onto his canvases - as skulls, spines and skeletons; as cross-sections, labels and anatomical diagrams. Basquiat had a special skill for translating his personal experiences into his work. Basquiat, whose parents were Haitian and Puerto Rican, grew up with an instinctive love of art. As a child his mother took him to the Metropolitan Museum of Art and as a teenager he regularly visited galleries with his mates. 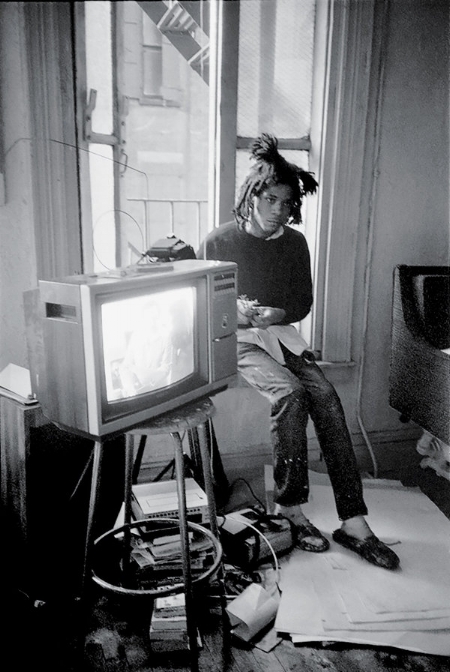 After leaving school at 17, Basquiat joined the vibrant post-punk creative scene that congregated around the run-down streets of lower Manhattan. With a friend he began spraying surreal, witty, provocative graffiti-poetry, under the SAMO© tag, all over SoHo and the Lower East Side. With another friend he created collage-based post cards and sold them on the street for a dollar or two. (His customers included his hero Andy Warhol.) He formed a band named Gray after the book that had made such an impression on him as a kid. He DJed at clubs and parties; acted in an art-house movie; hung out with members of the burgeoning hip-hop scene. And when eventually he turned to painting, he sold his first picture to the musician Debbie Harry. Basquiat was an artistic autodidact. He saw no boundaries between media and he thrived within a networked creative community. Basquiat was also a sponge for knowledge, inspiration and stimulus. His paintings are filled with references to his love of music (from bebop to hip hop); to his passion for sport (Sugar Ray Robinson, Floyd Patterson, Joe Louis); to the art history books he read (Da Vinci, Titian, Manet, Picasso, Duchamp); to his interest in the African American experience. All these elements are mixed in with the planes, automobiles and skyscrapers of his native city; with birds, masks and demons; with crowns, hats and halos; with icons of popular culture; with the enigmatic political poetry that he had first expressed in his graffiti. Basquiat was special. He synthesized low and high culture; words, images and symbols; personal memories and public knowledge; the present and the past. He orchestrated his responses to the world, channeled and filtered them into one compelling, magical brew. And he seems to have captured something about what it is to live in these super-fast, over-choiced, hyper-connected, ethically-conflicted times. Sadly in 1988 Basquiat died from a heroin overdose. He was 27. So often the marketing and communications business is insular, introverted, isolated. For inspiration we consider adjacent markets, sectors, campaigns and brands; we examine our competitors and Cannes winners, popular ads and award books. But we rarely look beyond our own orbit. Basquiat teaches us some simple lessons: that true creativity knows no boundaries; that it thrives within a Bohemian culture; that it needs constant stimulus, provocation and experience to sustain it; that if we want to make interesting work, we should seek catalysts from beyond our immediate environment. You need input if you’re going to create output. ‘Basquiat: Boom for Real’ is at the Barbican in London until 28 January 2018. I recently attended a retrospective of the American artist Robert Rauschenberg. (Tate Modern until 2 April). Blimey. I can’t claim to have had an emotional connection with his work. So much cardboard, cartoons and cut-outs; so much repurposed refuse and random bits and bobs. I suspect my tastes are too conservative. 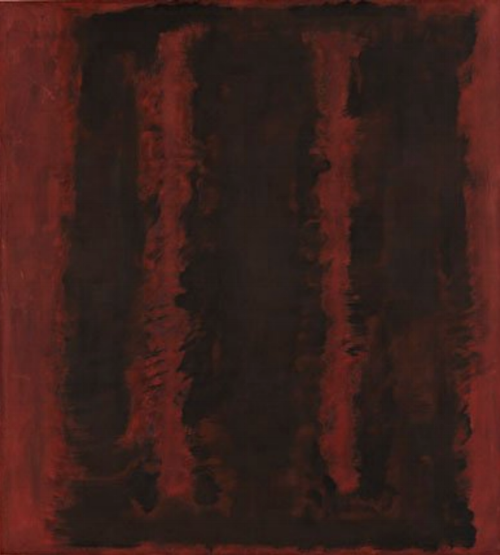 But walking from room to room, through a chaptered narrative of the artist’s career, I could achieve some kind of rational connection. I found myself admiring him. And I certainly felt there was a great deal that commercial creatives could learn from this mercurial talent. Rauschenberg was born in 1925 into a fundamentalist Christian household in Port Arthur, Texas. Having served in the Navy during World War II, he took advantage of the GI Bill to travel abroad and he briefly attended art school in Paris. He subsequently studied at Black Mountain College in North Carolina, an institution that encouraged experimentation across a whole host of media. There he learned to do ‘exactly the reverse’ of what he was taught. Rauschenberg was a restless spirit. The breadth of his output was breathtaking. In the course of his career he explored the possibilities of print making and paper making; photography and collage; pop art and abstraction. He painted in stark black and white monochrome, and in bright vivid colours. He designed costumes and stage sets; worked with found objects and images; experimented in kinetic and interactive art. He collaborated with other artists, with dancers, musicians, scientists and engineers. He choreographed performance pieces and co-created the first Happenings. Rauschenberg never settled on any one style or form of expression. With his appetite for the untried and untested, he remained resolutely in the present. Rauschenberg was blessed, and perhaps cursed, by what one critic called ‘a perceptual machine.’ He just kept seeing, feeling and thinking different things. I guess all of us in the world of commercial creativity should ask ourselves: Are our own ‘perceptual machines’ functioning and well oiled? Can we sustain an appetite for the new as we grow old? Are we, like Rauschenberg, truly, relentlessly, restless spirits? In 1954 Rauschenberg began to integrate objects he’d found on local New York streets within his canvases. Wallpaper, windows, wheels and ‘one way’ signs; Coke bottles, brollies, light bulbs and stuffed birds. They all found their way into his Combines, as they were called. It was an approach that brought together painting and sculpture in a new and compelling way. Rauschenberg seemed fascinated in art that more intimately embraced reality; that broke out of the boundaries that had been set for it; that explored the liminal spaces, betwixt and between. I was struck by this idea of exploring ‘the gap between.’ So often in the commercial sector we impose our own constraints on creative expression, or we accept the constraints of convention. But in an ever-changing world there’s always interest to be had in the borderlands between collapsing categories; on the frontiers of technology; at the cusp of change. In my own time at BBH some of our best work inhabited the threshold between different channels, practices and technologies: press ads that behaved like posters; posters that behaved like films; films that played backwards; shorter timelengths, longer timelengths; longer copy, no copy at all; reflective still images, special builds, interactive posters, POV camerawork; films that focused on real people, real events, real experiments; Chinese takeaway lids. So often the opportunities occurred at the margins of standard practice, on the edge of the frame. By all reports Rauschenberg was charming, gregarious and fun. A smile was never far from his lips. But he was ruthless with ideas, both his own and those of others. He knew that you cannot progress if you still have your feet in the past. When Rauschenberg arrived in New York as a young man in 1949 the dominant creative movement was Abstract Expressionism. But he was determined from the outset to make a clean break. In 1962, around the same time as Andy Warhol, Rauschenberg began experimenting with silkscreens. He reproduced and artfully arranged found images that were historic and contemporary; political and cultural; mundane and arresting. These silkscreens brought him substantial recognition and, in 1964, they won him a prize at the Venice Biennale. He immediately called home and instructed his assistant to destroy any silkscreens left in the studio. He was alert to the insidious seductions of success. Are we in the commercial sector as willing to dismiss established practice and break for the new? Are we as decisive as Rauschenberg? Can we claim to be as ruthless with our own success? As I was about to depart the exhibition, I returned to a piece called Mud Muse. In 1968 Rauschenberg filled a large metal tank with 1000 gallons of bentonite clay and collaborated with technicians to animate this clay with bubbles that responded to the sounds around it. The result was an art exhibit that gurgles, slurps and plops. I watched a party of young school kids consider it. They were at once amazed and amused. And they demonstrated the emotional connection that I had failed to make. Perhaps this is Rauschenberg’s best lesson. I’m sure sometimes we over-think our engagement with ideas. Sometimes we should let go and embrace a little innocent curiosity. Sometimes we should just take a turn off life’s highway. Come on, let’s get lost. Let's tell the world we're in that crazy mood.